[Updated Feb 15, 2017] Do you need a Replacement Rear View mirror? Check out the bottom of this article for a major money saver…. Since your hands will be around your precious Alcantra covered interior, you’ll want to be sure that they are clean. The process is actually very simple and should take less than 5 minutes. The mirror is held in place with a single bolt. The Official Aston Martin Workshop Manual section 1.05 on removing the roof trim covers it succinctly in Step 2 “Remove the interior mirror (screw x1)”. For a change, that’s about all the info you need. Here’s my slightly more verbose method. You might want to consider laying out a large bath towel over the dash and center console that is under the mirror. If you accidentally drop a tool, the mirror, or the bolt you don’t want to scratch any of the nice [expensive] things below. 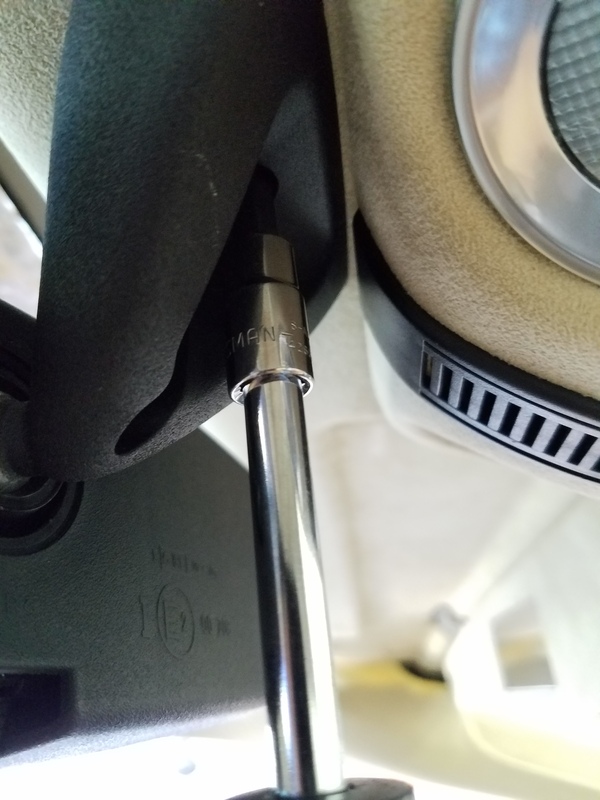 Loosen the bolt using the T25 Torx socket. You may need to use a small ratchet and extension to break it loose. I then switched to the speed driver handle to make it easier. Be careful to support the mirror with one hand while you finish removing the bolt, you don’t want to drop the thing and break the glass. 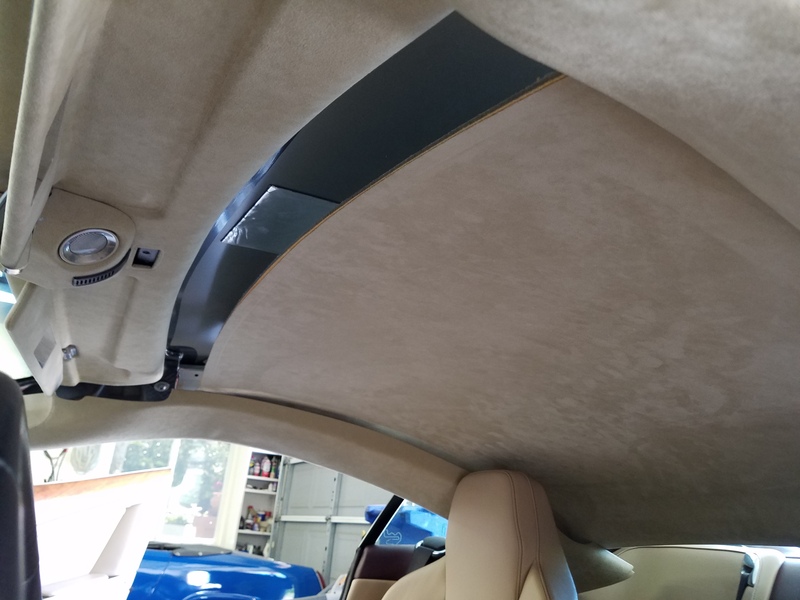 You can see from this photo that it will allow the trim to sag a little more to allow you to pull the headliner form out from between it and the roof. Its also helpful just to have the mirror out of the way while removing the headliner so you aren’t banging into it. Truly one of the few times the reinstallation is just as easy as the removal. 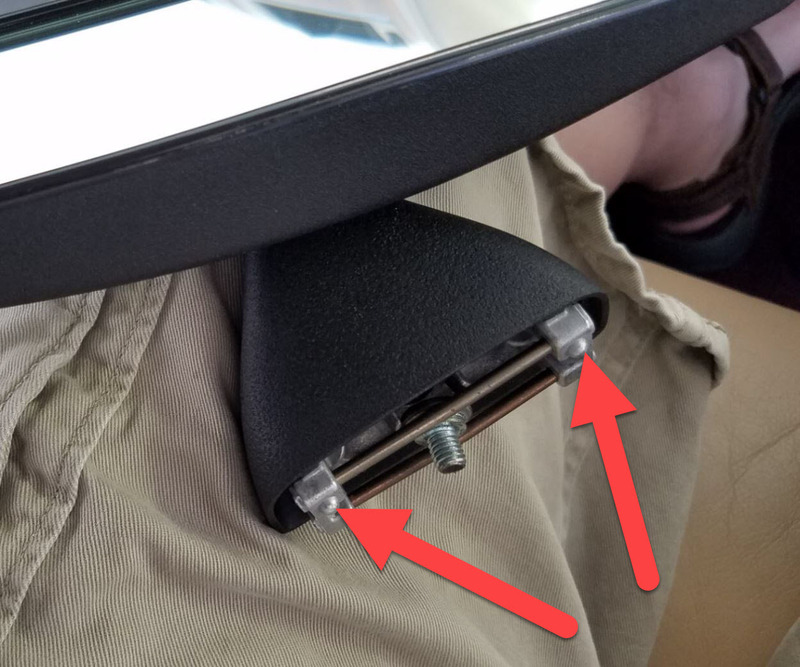 Notice that there are two alignment posts on the mirror that need to insert into mating holes to the left and right of the screw hole. Position the mirror up into place being sure that the alignment posts insert into their matching holes. Insert the mounting bolt and snug up. There is no published official torque specification, but I think 10 Nm would be appropriate, or ‘pretty snug’ if you are winging it. You don’t want it to rattle loose. Here is a quick video showing the process. 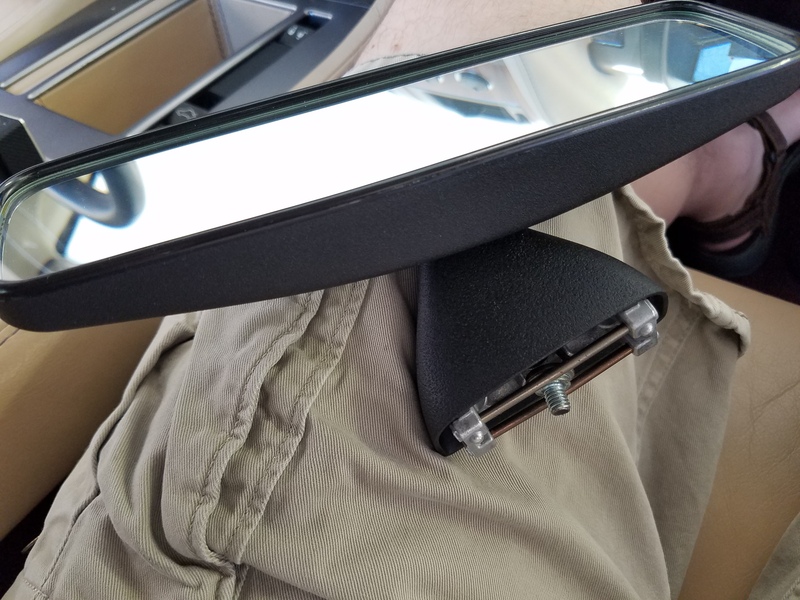 If your rear view mirror requires replacing, then here is a great money saving tip courtesy of reader Steve Sheffield. It turns out that the mirror for his 2005 DB9 is the same as used on the 2005 Peugeot 206. The mirror and its backing (the part with the ‘socket’) as the same, but not the Aston Martin base (the part with the ‘ball’ and that bolts to the car). Don’t acted surprised that this part was used by both Aston Martin and Peugeot (and who knows who else). Why design a bespoke mirror when you can pick up a catalog of mirrors from an OEM supplier company like Donnelly. 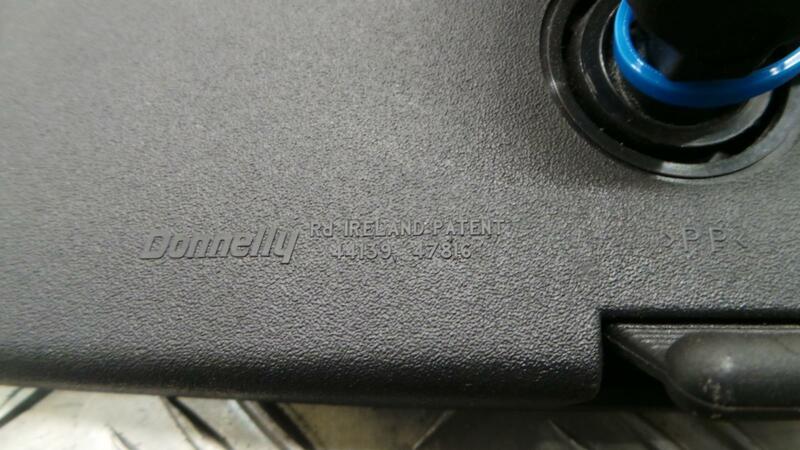 He keenly discovered the manufacturers mark on the back of his original (damaged) DB9 mirror “Donnelly Rd Ireland 44149 47816”. He couldn’t chase this down on Google, but he called the Donnelly company (bold move) and they explained its the exact same mirror as the Peugeot. Sure enough, here is a picture of the back of a Peugot mirror, and the back of my own DB9 mirror. Exactly the same! If you try to source a new Aston Martin supplied mirror you need part number 4G43-17K695-AE, and you can find this online for about $110 USD. But, if you are crafty and check eBay, you can find a used Peugeot mirror for about $20 USD! I am sure you can probably contact a Peugeot dealer as well for a decently priced new one. Or perhaps a Peugeot dismantler for even cheaper. 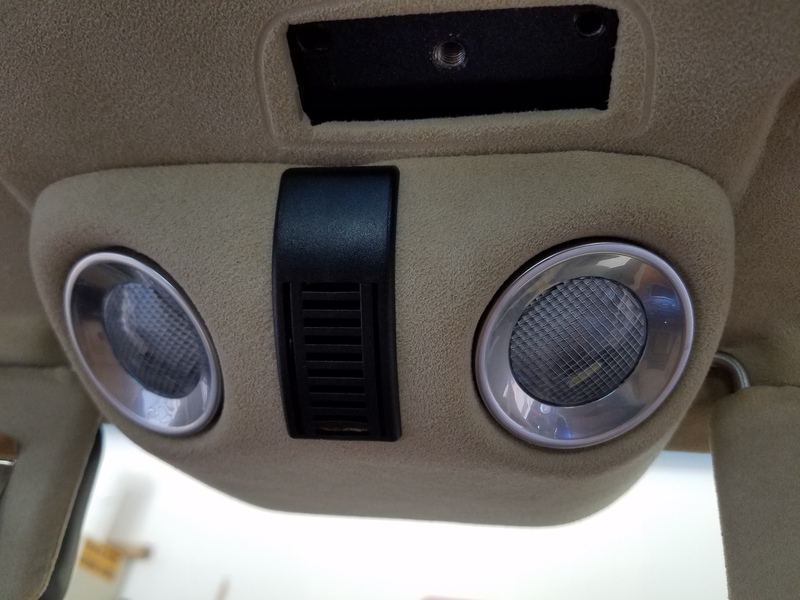 Note: This is an early model DB9 mirror and does not include the buttons for a garage door opener or other fancier features that appeared on later models. 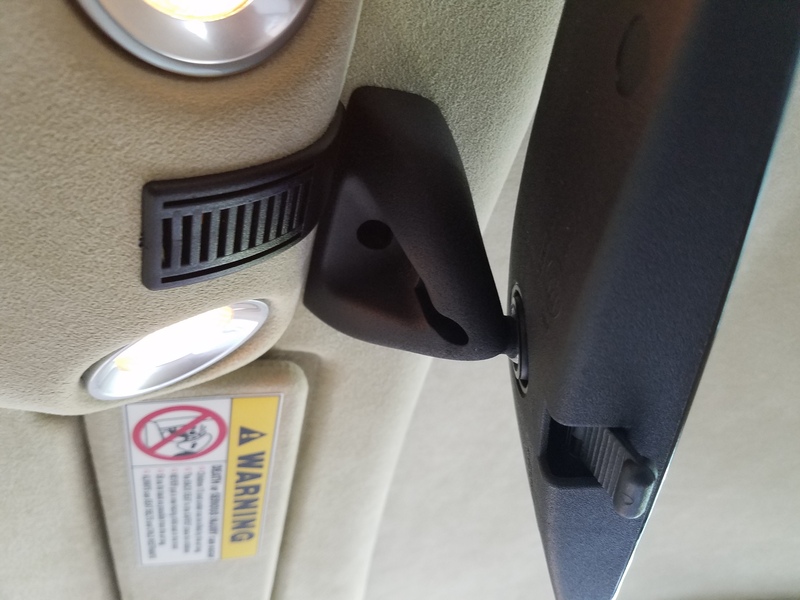 European models may also have been fitted with another style of mirror, so check out these details for yourself (or contact your dealer to supply the part number needed for your specific car and see if it matches up with the one above). But, if you mirror looks like these ones and has the same markings on the back, you are probably good to go! Steve goes on to supply this tip for separating your old mirror’s ball and socket joint. Heat the original Aston Martin mirror and base in a 150°F the oven (!) for 5 minutes. This makes separating them easier. Heat the new replacement mirror the same way for 5 minutes. Carefully press it onto the cooled ball. I took a few other high resolution photos during the process you might want to see. Very COOL! BTW I had a cracked rear-view mirror on my ’05 DB9. Scuderia priced it at £130 ($222) so I googled the part # in the back, found the manufacturer and discovered the same mirror was used on a Peugeot car that was not sold in the US. Soooo, I found and bought a used one on eBay France for $15 Euros, switched the brackets and Voilà! Would you be kind enough to include the manufacture, the part number you found, and any reference links. Something like this would likely be helpful for me to share in this article. My rearview mirror was cracked to I pulled it as saw stamped on the back: “Donnelly, Ireland” (that was the manufacturer). 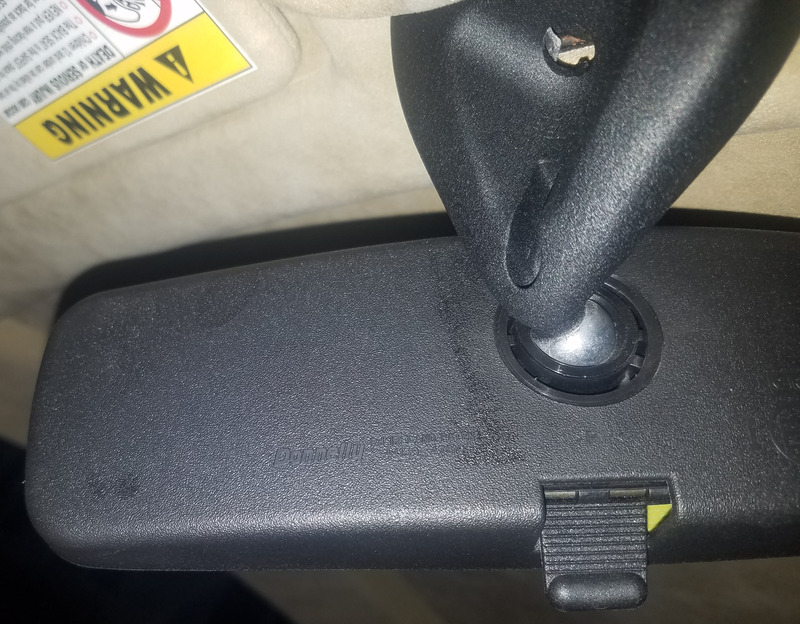 Also stamped was stamped #44139 47816 which didn’t come up on a Google search so I contacted the manufacturer and read the number to them and was told that mirror was also used on a Peugeot 206. I went on eBay France and found a rearview interior mirror off an ’05 Peugeot 206 for 15 Euros. 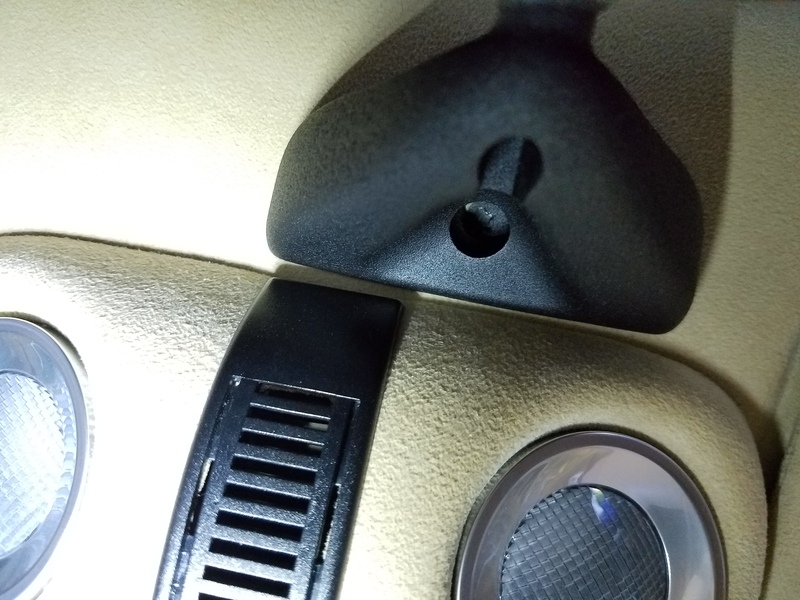 Just for fun, I searched on eBay (today) and found another one: https://www.ebay.com/itm/2005-Peugeot-206-Rear-View-Interior-Mirror-44139-47816-/162215576334?hash=item25c4cd430e:g:EPsAAOSwNRdX5kKV&vxp=mtr for comparison. Only the mirror /shell is the same but the base mount is different for the Peugeot so you have to use the one from the Aston. If you heat the mirror in the oven at 150 degrees for about 5 min. the base pops in or out easier (ball from socket) but make sure the new mirror is heated as well so the ball pops easily into the socket. $200 mirror for 20 bucks. Ha! Excellent research and find! Irish company making mirror for French and British – Go Figure. I saved a copy of the ebay add photo, and will snap one of my actual mirror as well. So the mirror and its body are correct including the socket, but we have to apply it to the ball and base of the Aston Martin. Got it. Heat to 150 deg? Or leave your car outside in the summer California sun!.